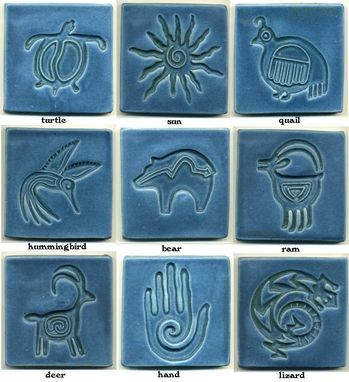 Ravenstone Tiles has created a series of tiles based on Native American and prehistoric imagery. The designs are simple, bold, rustic and somewhat Southwestern in flavor. These are generally 4" square tiles but the design can be applied to larger tiles or slightly smaller tiles, space permitting. Available in a wide range of colors, this bluish glaze is just one example. These are durable stoneware ceramic, suitable for use indoors or out. 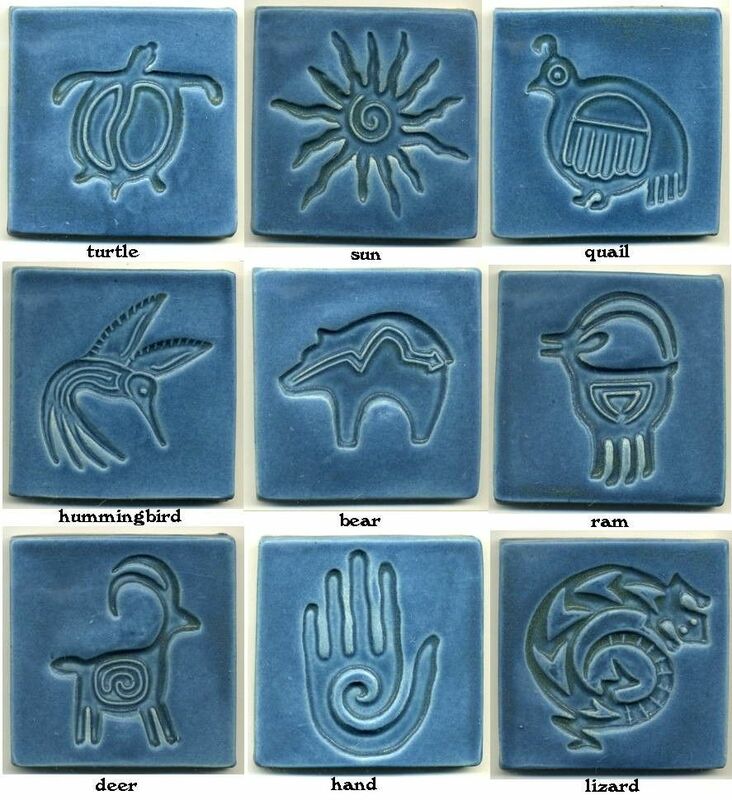 They make great accent tiles for the kitchen, hearth, fireplace surround, bath or garden. Dimensions: 4" square tiles are pictured, larger sizes are possible.